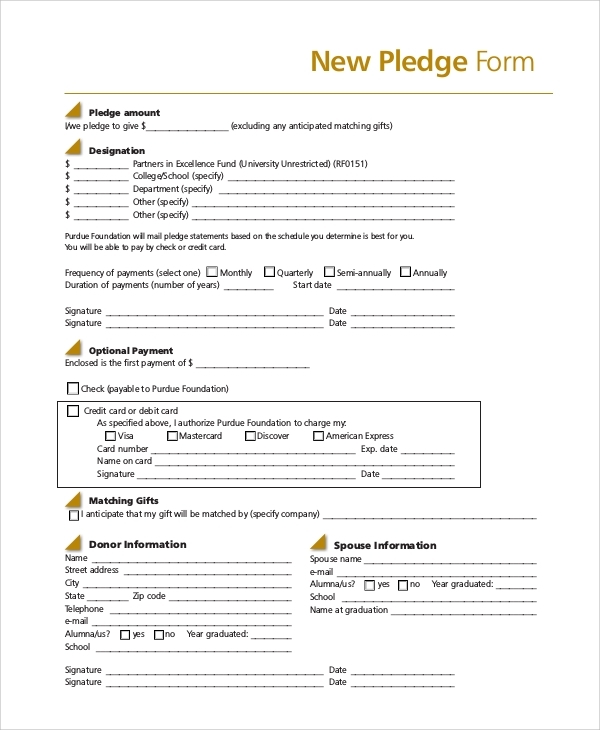 A Pledge Form Template is a pre-formatted document that is used to donate funds. These documents are generally used by non-profit organizations and groups that donate money to different people. The document is customized to contain all the details of the people associated with the donation, the reason of donating and the amount of donation. A payment form samples has different variations, and here are the examples of some of the commonly used ones. This Sample Donation Forms is used by organizations for donating money to other institutions. The donor’s name, address, programme listing and other details are included here. The name of the recipient is present at the top, in the form of a masthead. 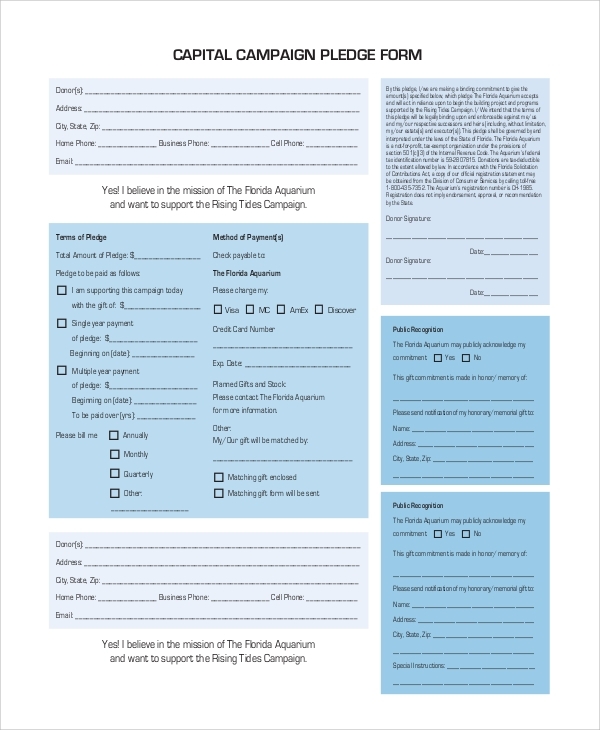 Fundraisers require forms customized to accommodate a number of entries. These are listed up along with the names, addresses, amounts and contact information of the donors. The total amount is mentioned in the end.You may also see transmittal forms. What Information is Included in a Pledge Form? 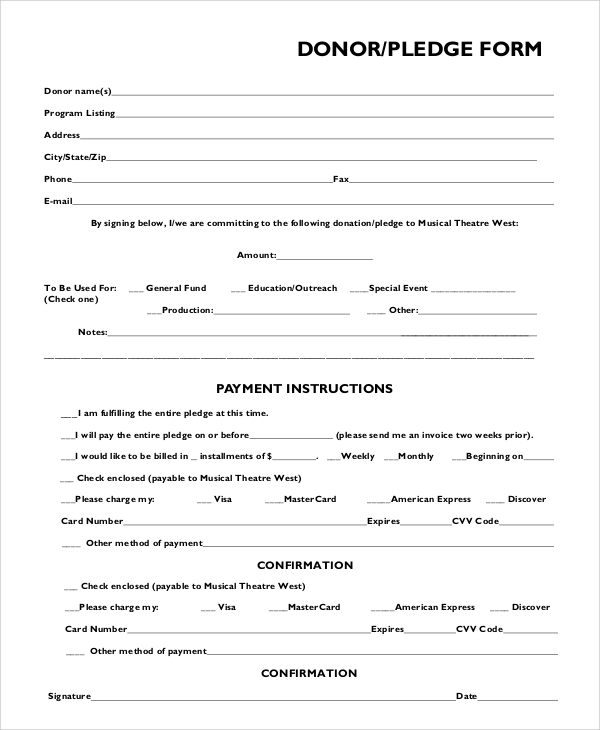 A pledge form is required to simplify the process of donating money for a specific purpose. Obviously, the names of donors and recipients are the prime elements of the template. Sometimes the name of the donor is kept confidential, especially in silent auction bid sheets. You can also see the Sample Medical Consent Forms. These forms are used by large organizations. The name of the donor is mentioned in a separate section along with other details. The terms of payment are mentioned in a separate place.You may also see contact information forms. Why is a Pledge Form Needed? A pledge form or letter of donation is a documented proof of the exact amount of money that had been raised by an organization or individual. It is a systematic process to disseminate the information about the donor, purpose of the fundraising campaign and the personal details of the donors. You can also see the Sample Registration Forms. Who Needs a Pledge Form? A sponsor sheet template is often required by individuals who collect money form a particular cause. In these forms, the donors come to know about the campaign from the information given along with the form. Often, corporations give donations and sponsorships to different organizations and these forms are kept as a memento by the recipient. In future, if they apply for donation again, they can use these mementos as reference. 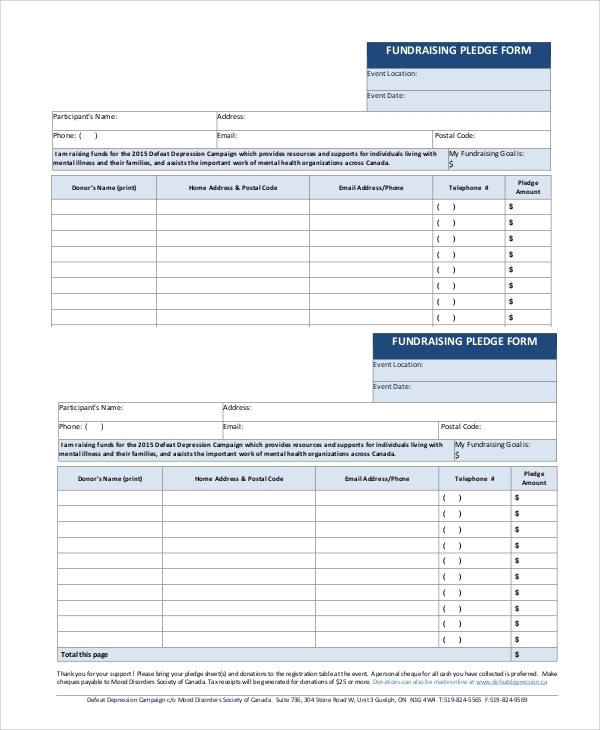 Apart from them, fundraising organizations also need these forms. You can also see the Sample Schedule A Forms. 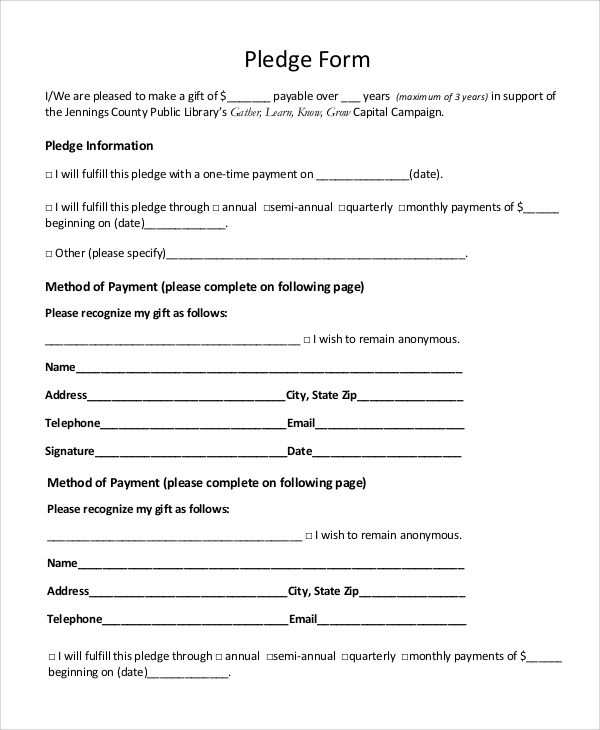 Depending on the situation and purpose, the pledge forms can be customized. There are various types of these forms on the website and you can check them out if you need. The sample submittal transmittal forms are also there and all these are customizable according to the requirement of the donor.